إذا كنت تبحث عن فندق بموقع جيد في راكيراكى، فقد وجدت ضالتك في Tanoa Rakiraki Hotel . يقع مركز المدينة المثير على بعد فقط. يوفر الفندق بفضل موقعة الجيد وصولاً سهلاً إلى أهم معالم المدينة.
. إن Tanoa Rakiraki Hotel حريص على توفير الراحة للنزلاء، فلا يوفر الموظفون جهداً في تقديم أفضل الخدمات وضمان حسن الاستقبال. لضمان راحة ضيوفه، يقدم الفندق الخدمات التالية: تسجيل وصول/خروج سريع, تخزين الأمتعة, واي فاي في المناطق العامة, صف السيارات, خدمة الغرف . لقد جهزت هذه الإقامة الفندقية بعناية فائقة لتوفر مستوى عالي من الراحة. في بعض الغرف يجد النزيل تلفزيون بشاشة مسطحة, اتصال لاسلكي بالإنترنت, غرف لغير المدخنين, مكيف هواء, خدمة الإيقاظ. يمكنك الاستمتاع بالأجواء المريحة التي تقدمها حمام سباحة خارجي, ملعب للأطفال, ملعب تنس, حديقة طوال النهار. 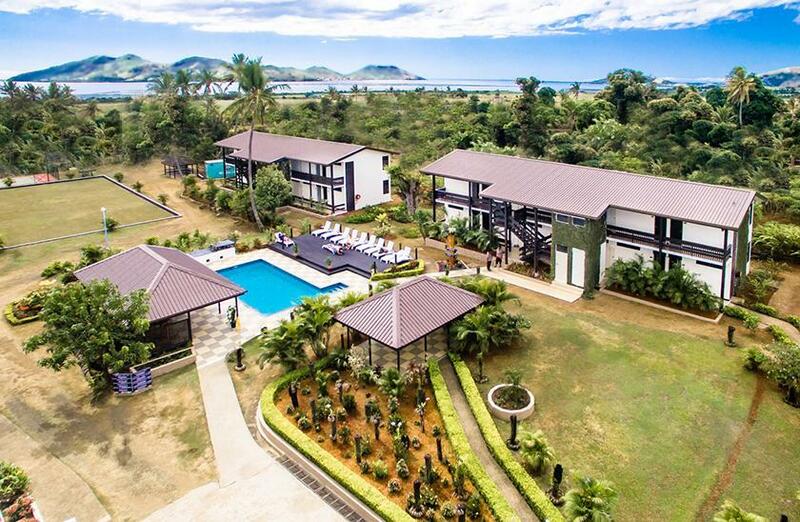 إن Tanoa Rakiraki Hotel هو خيارك لخدمة الفنادق الراقية في راكيراكى. Its easily locate and will not give a missed if you driving along the main road. Stay there for a night; its look just renovated and beautiful orchid plants in garden; compound is very well maintained. This hotel is great. A little overpriced as all hotels in Fiji are. Wait for a bargain and use either booking.com or agoda to secure a more realistic price. Someone will start up a camper van business soon and then there will be some competition. Accommodation in Fiji is grossly overpriced. I live here and am wondering why. I know there are extra Government taxes but wages are low. Why do you charge so much?????? 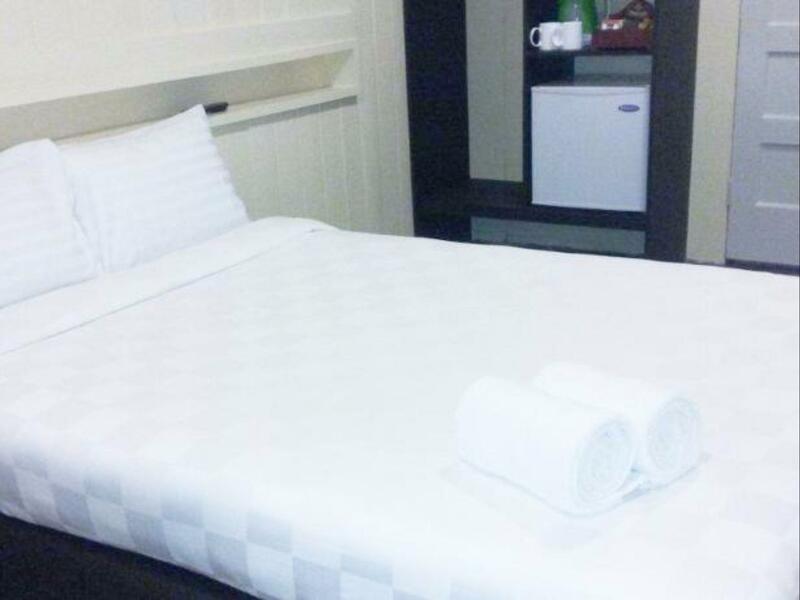 My stay at Tanoa Rakiraki was very enjoyable and comfortable. We stayed in 5 different hotels in Fiji: most of them were fine; this was by far the worst in terms of value for money. There are only standard rooms available, which are located at the front of the property by the main road. (The rooms in the 2-storey blocks shown in photos in the garden area were destroyed in Cyclone Winston, and are now being reconstructed). That the room was small was not an issue: the size was clearly stated on the room details, and the photo was not misleading. However, our room was right at the front of the old block, right next to the road, which wouldn't be a problem if the room was properly sound-proofed: there wasn't even double-glazing, which meant that the traffic sounded as if it was rolling by a few yards from your pillow. Furthermore, the airconditioner compressor was located outside right by the head of the bed. Again, that wouldn't have been a problem with proper soundproofing, but all there was was a wooden wall, so every so often the compressor would start up, right behind your pillow. Fortunately I always bring earplugs, but my partner got very little sleep. The staff were fine and friendly, but the food and drink in the restaurant rather overpriced for the level of hotel. To compare: we stayed in a lovely little place on the beach at Nadi which was half the price. We stayed in The Grand Pacific in Suva, which was wonderful, but didn't cost that much more than this place. This place is simply overpriced for what it is, and does not constitute 'fair value', which was a pity, as we like staying at country hotels. Perhaps it will improve when the 2-storey blocks in the back are finished, but in the meantime I wouldn't recommend the Tanoa Rakiraki to anyone. Absolutely beautiful and very clean. Staffing performance is excellent. Very enjoyable stay and shall definitely go back. Great staff and service. This is a nice little hotel in Rakiraki, reasonably priced, and my stay was very satisfying. I would definitely stay again and recommend to others travelling through this wonderful little village! Nice, peaceful place with friendly staff abd amazing surroundings! Auf unserer Fidschi-Rundreise war dies ein idealer Standort für einige Tage. Sehr freundliches Personal. Guter Gegenwert für das Geld.